Find yourself in the lap of luxury in this dreamy oceanfront home! 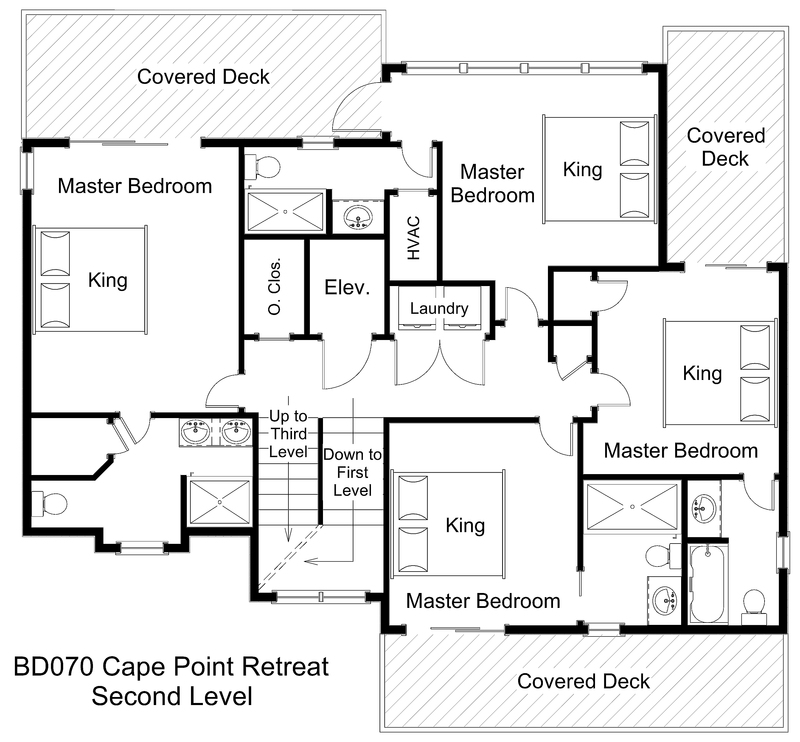 Cape Point Retreat has been designed to give you the carefree vacation you deserve. From year-round Gold Linen Service to the handicap-friendly elevator from the ground to all levels, every aspect of this exquisite home has been made to impress! The fun begins at the expansive outdoor entertainment area. Stroll the community boardwalk to the beach to surf, fish, and build sandcastles to your heart’s content. Rinse the sand off in the two outdoor showers and cook up the day’s catch on the gas grill. Soak up some sunshine from the large yard and pool deck, or have it made in the shade relaxing in the lounge area with tiki bar and cabana half bath. A time-out in the hot tub will wash your worries away in no time at all. Splash and play in the private pool with available heat, which features a wet deck and inset kiddie pool. Good times continue in the first level game room with pool table and TV, complete with wet bar and full-size refrigerator for all your poolside and movie treats. Fill your cooler from the freestanding ice maker for a day at the beach. Immerse yourself in a red-carpet classic or cheer on the big game in the theater room with stadium seating, open to a relaxing lounge area with bar seating and foosball table in back. 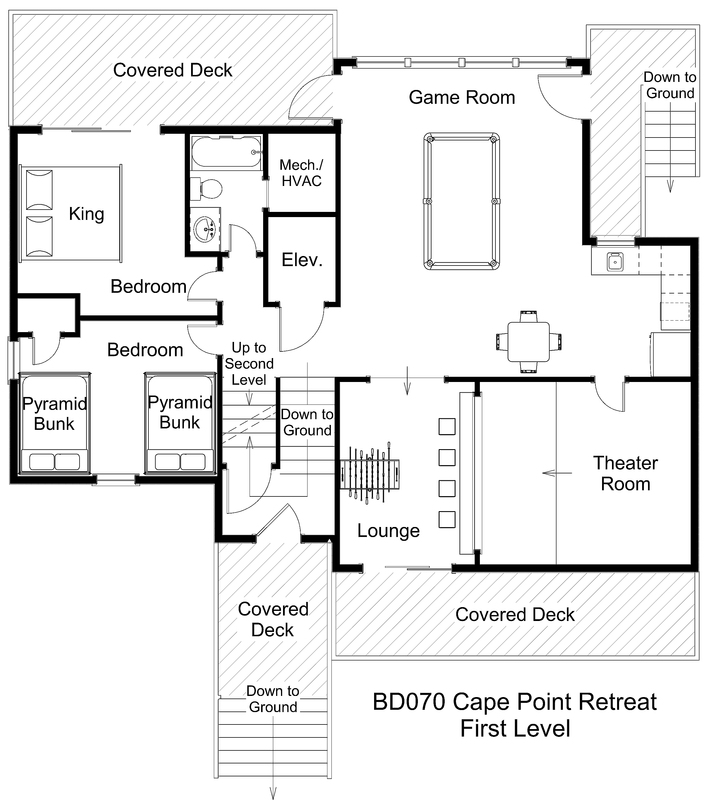 Two bedrooms, a room with two pyramid bunks sets, and a king room with a slider to an oceanfront deck, are on this level. In addition, there is a full bathroom off the hallway. All bedrooms throughout the house have TVs. Sleep tight and wake refreshed in the four king master bedrooms on the middle level. Two of the bedrooms have shower stalls in the bathrooms and open onto a shaded oceanfront deck. A third opens onto a private, shaded oceanfront balcony. The fourth bedroom features a shower stall with a bench seat and opens onto a private, covered deck on the front of the house. The laundry area with dual stack washers and dryers is also on this level. Upstairs is an additional king master bedroom with walk-in closet and access to a spacious oceanfront sundeck perfect for enjoying your morning coffee while watching the waves roll in. The luxurious private bath features a custom-tiled shower stall. A half bathroom is also on this level. Bring the whole crew together in the living area with gas fireplace or gather for a gourmet experience around the dining table, all while enjoying first class ocean views. With a 5-burner stove and 2 wall ovens, cooking for your hungry crowd is no problem for the chefs in your family, and with 2 dishwashers, clean-up is a breeze! Chill down a bottle of bubbly in the wine cooler to toast your well-deserved vacation. 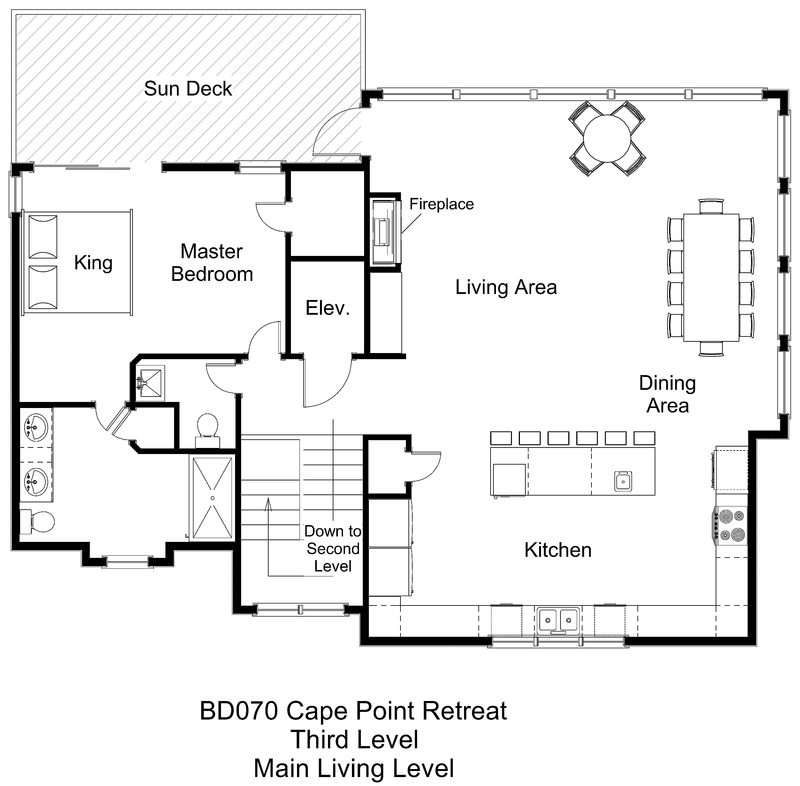 At Cape Point Retreat, you are just around the corner from some of the best dining, shopping, and entertainment Hatteras Island has to offer, and yet miles away from the real world. Escape to the top of the Cape Hatteras Lighthouse, take a flying tour over the island, or just sit back with your toes in the sand. Give yourself, your family, and your pets the getaway of a lifetime at Cape Point Retreat! Hello, Would you please tell me whether this home has wireless internet? Thank you! Yes, all of our homes offer wireless internet as a standard amenity unless otherwise stated in the description of the property. Is the DVD player in theater room a BluRay? The swimming pool is approximately 20 x 20'. Should we bring beach towels and beach chairs? Do you supply any baby amenities (i.e. high chair, pack n play and gates)? We will be traveling with a 2 year old and need a pool that is totally fenced in. It’s different to tell from the pics. Is your pool gated separately from the house? There is a gate to the pool deck and entertainment area. It is difficult to see in the photo as it is by the outside bar. 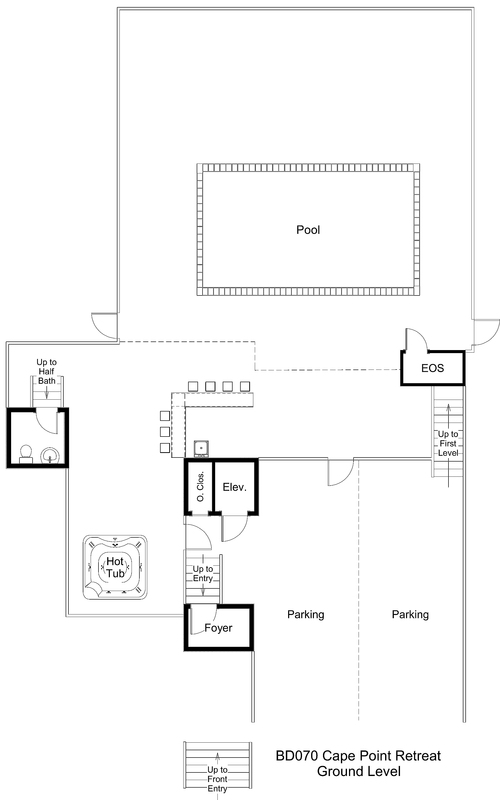 Can I pay to have the pool heated for a 10/26/19 to 11/2/19 rental? Heated pools close on 10/26/19. Great location, smaller beach. Home had the best outdoor space of all the homes we have rented. Completely gated, shade for our dogs, grill and bar area. We spent most of our week outside at the pool and beach. Pool was perfect for small children with the kiddie pool and platform to sit. We loved the pool and the closeness to the beach. The kids really enjoyed the theater room. We all hated to leave. This home offers fantastic space for families who need some privacy. The walk to the beach is very easy foo people with babies and for those with mobility limitations. Very easy access to the beach. AMAZING VIEWS OF THE OCEAN. Great house, the ocean is in your living room!